Today I delivered my latest piece, the “Old Vicarage Sideboard”. Designed to sit in a beautiful old vicarage in a small village in Berkshire. 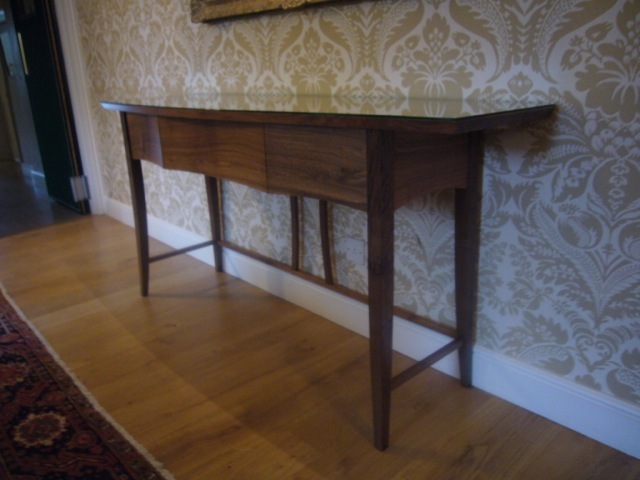 The client has various pieces of older furniture in walnut and mahogany, but they wanted a comtemporary sideboard that would bridge the gap between old and new: sit in a traditional setting whilst having a modern feel. I think I achieved it! See more pictures in the gallery pages.